We apologize but our telephone lines are currently offline. Please email or contact us at 082 780 0612. 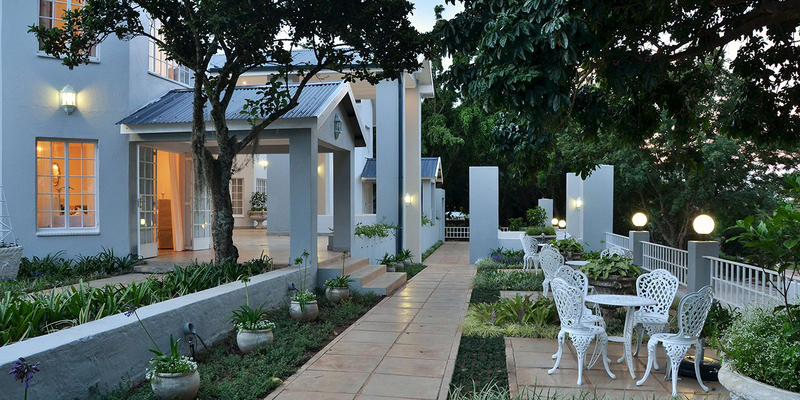 Country Boutique Hotel offers you a unique Lowveld experience characterised by style, grace and a touch of understated sophistication to celebrate any occasion. Take the N4 to Nelspruit. Just before you reach Nelspruit follow signs to R40 towards White River. Approximately 18km on the R40, just before you enter White River take the turn off to the right that says Ingwenyama Resort. Follow the signs and the Country Boutique Hotel is located just before you go through the boom gate to Ingwenyama. Exit the airport at the circle at the bottom of the hill and go right on the R538 towards White River. At the next T-junction turn left and continue 14km until you reach a T-junction at the bottom of a hill. Turn right onto the R40 and go up the hill for approximately 4 km. Take the turn off to the right that says Ingwenyama Resort.